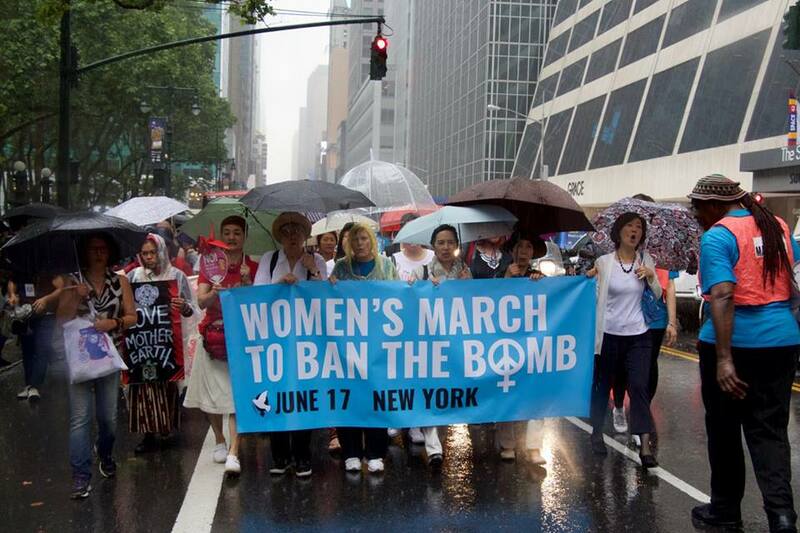 On Saturday, July 17, the Coalition for Peace Action (CFPA) rode the Peace Train to the Women's March to Ban the Bomb in New York City. 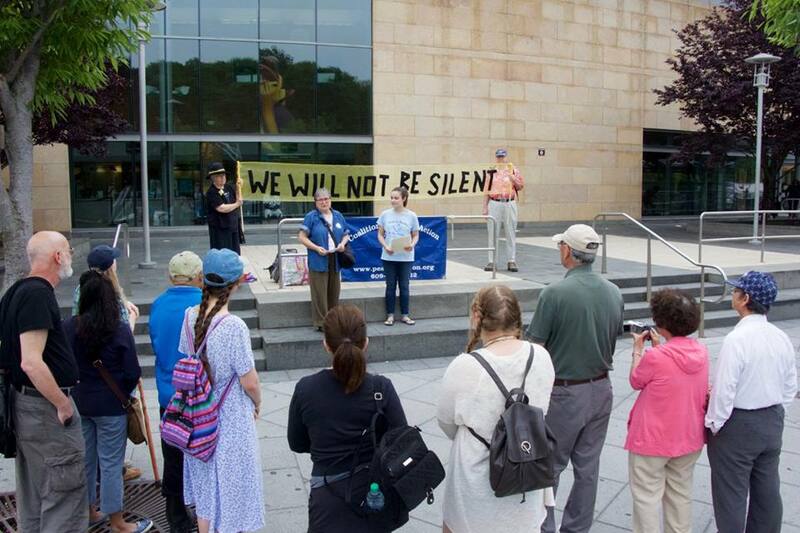 CFPA held a rally at Trenton Transit Center before boarding the train. 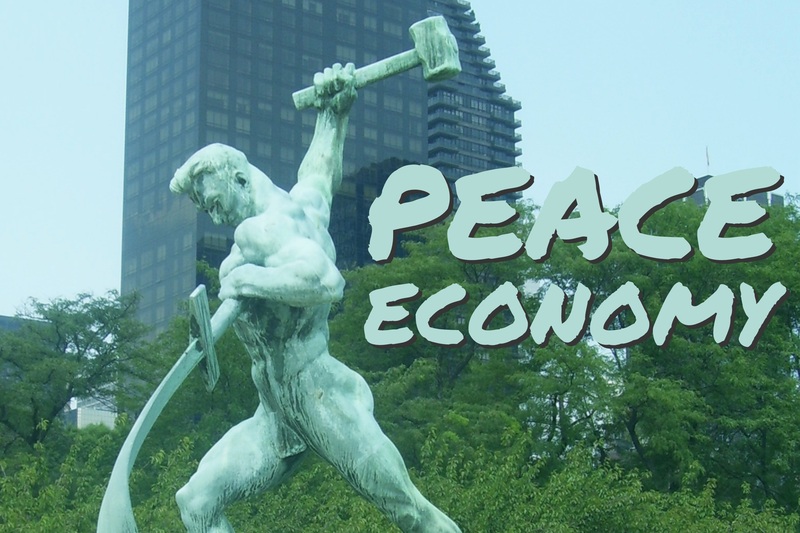 Approximately 25 CFPA members travelled on the train to the 200 person March from Bryant Park to Dag Hammarskjold Plaza, near the United Nations. 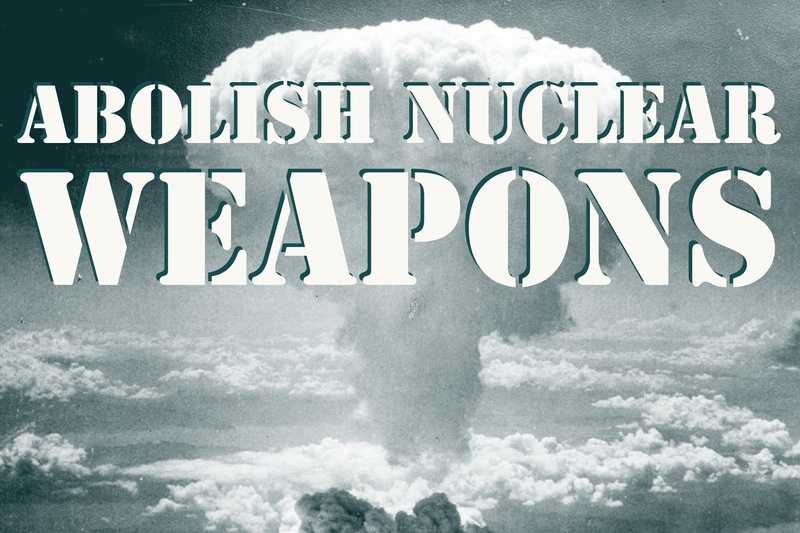 The Women's March to Ban the Bomb was held in conjunction with the UN negotiations for a legally binding treaty to ban nuclear weapons. Click here to see the Facebook album or click here to see a video of the march. CFPA holds a pre-boarding rally at Trenton Transit Center. 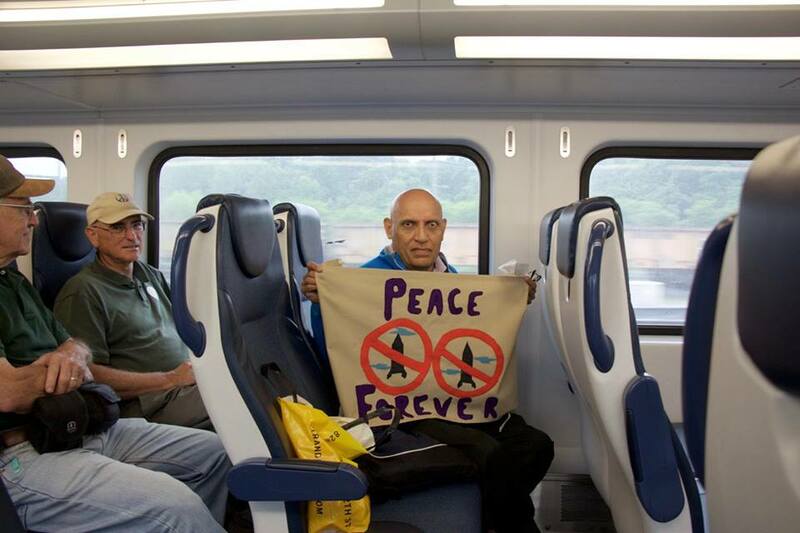 A peace train rider shows off his sign! The Women's March to Ban the Bomb begins at Byrant Park. 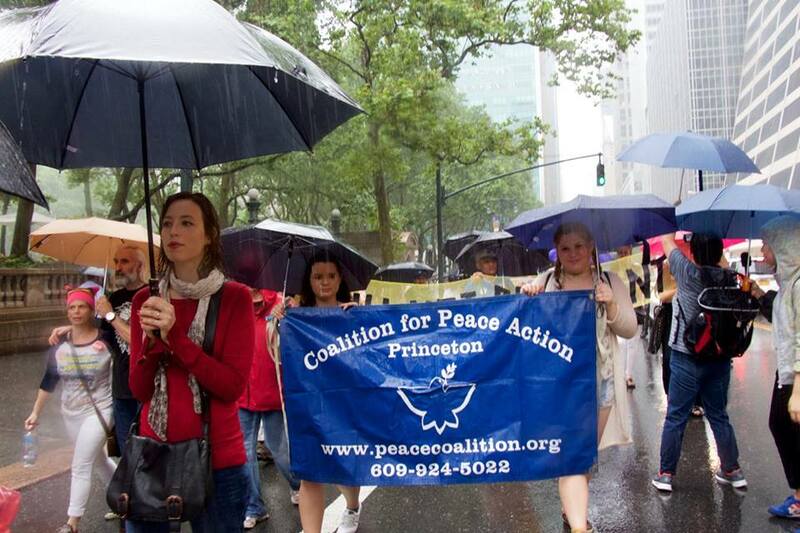 CFPA's banner is marched down the streets of New York City. 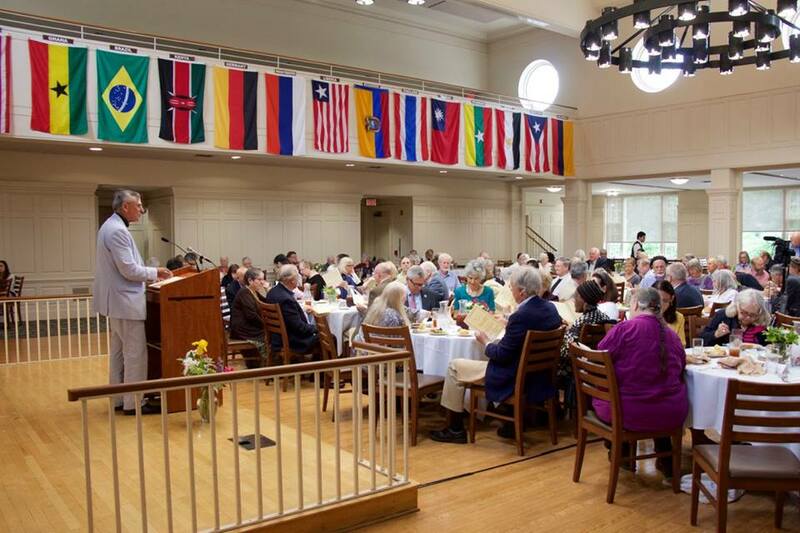 The Coaltion for Peace Action (CFPA) 37th Annual Memebership Dinner was attended by approximately 150 on Sunday, June 4, at the Princeton Theological Seminary. 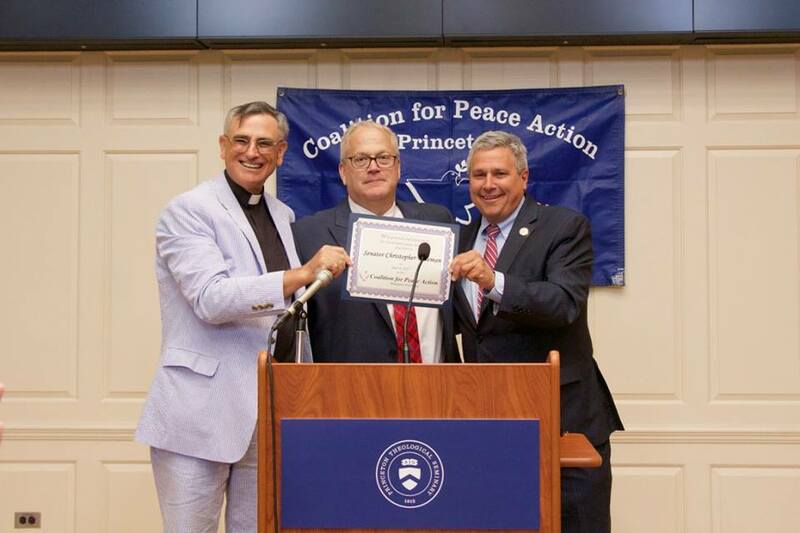 This event featured keynote speaker Colonel Lawrence Wilkerson, and honored Senator Loretta Weinberg, Senator Christopher "Kip" Bateman, Assemblywoman Gabriela Mosquera, and Muslims4Peace. Please see pictures below, and click here to visit our Facebook album. CFPA Executive Director Rev. Bob Moore chats with several Sponsor Reception attendees. Rev. Bob Moore addresses dinner and program attendees. Senator Kip Batheman (on right) receives award. 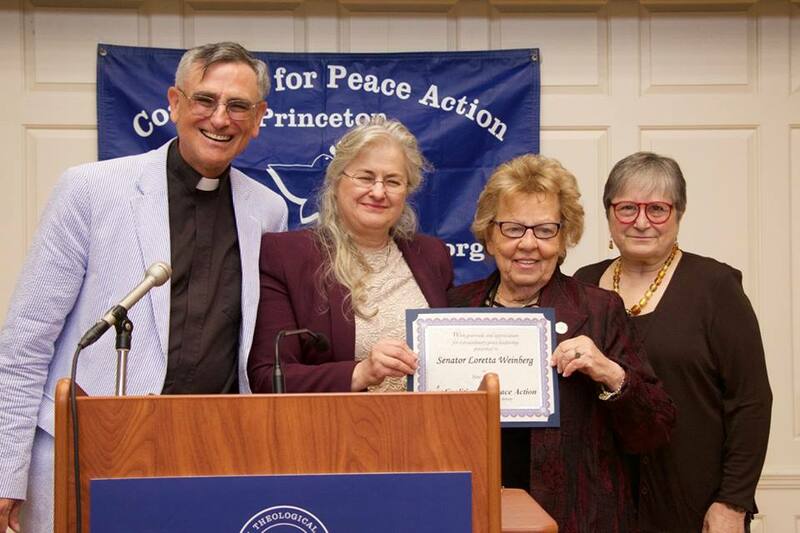 Senator Loretta Weinberg (second from right) receives award. 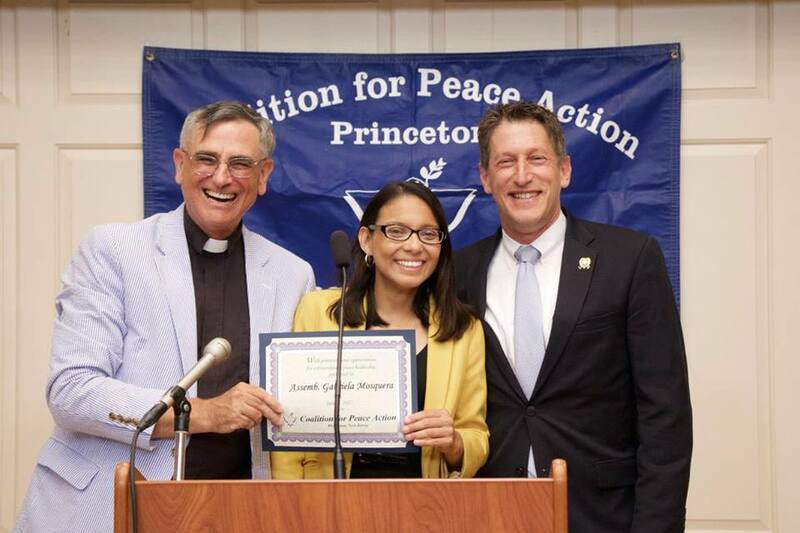 Assemblywoman Gabriela Mosquera receives award. Assemblyman Andrew Zwicker (on right) presented award. 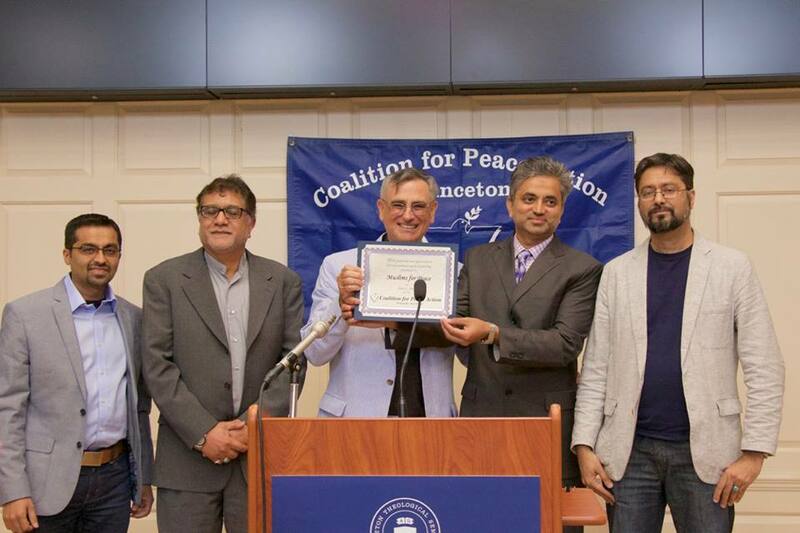 Leaders of Muslims for Peace receive award. 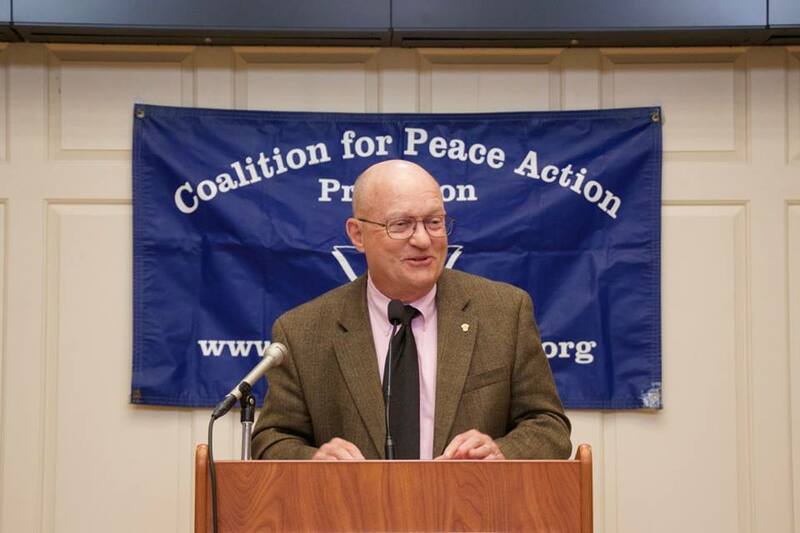 Colonel Lawrence Wilkerson gives keynote address. 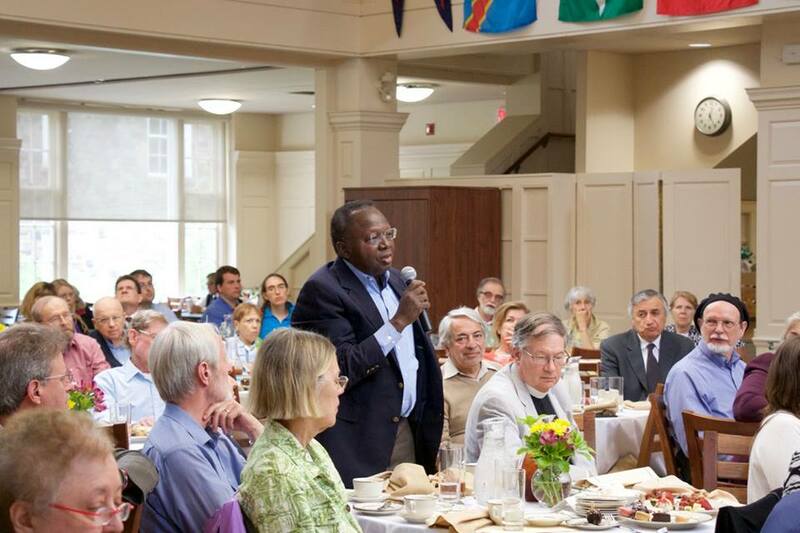 An attendee asks Colonel Wilkerson a question during Q & A. 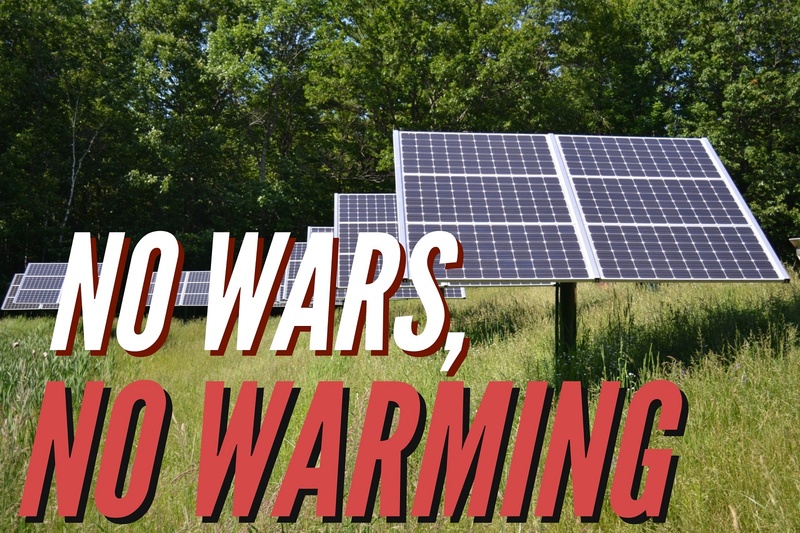 On Monday, May 22, Rev. 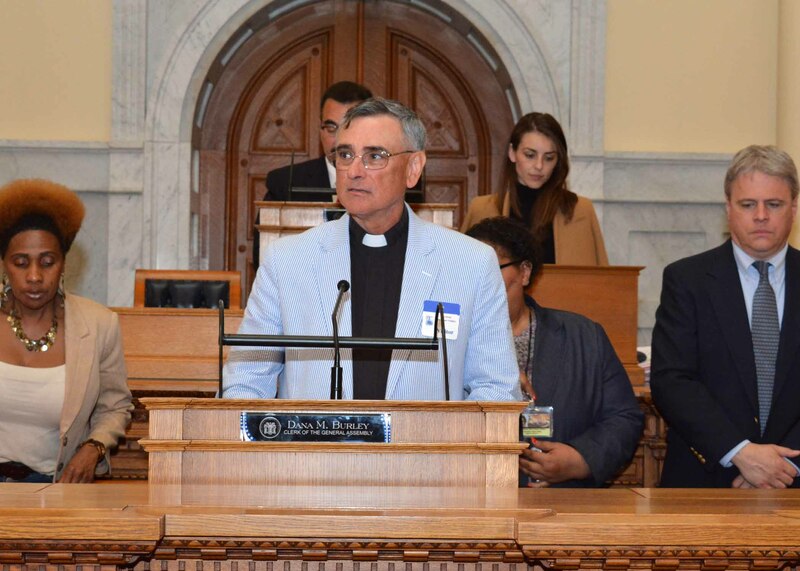 Bob Moore, Coaltion for Peace Action (CFPA) Executive Director, gave the invocation at the NJ State Legislature. Please see picutres below of Rev. 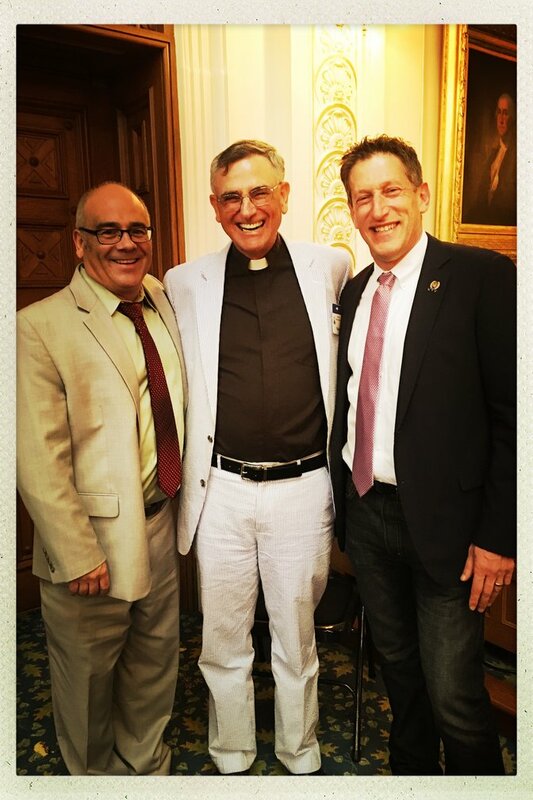 Moore giving the invocation and standing with NJ Assemblymen Reed Gusciora (D-15) and Andrew Zwicker (D-16). 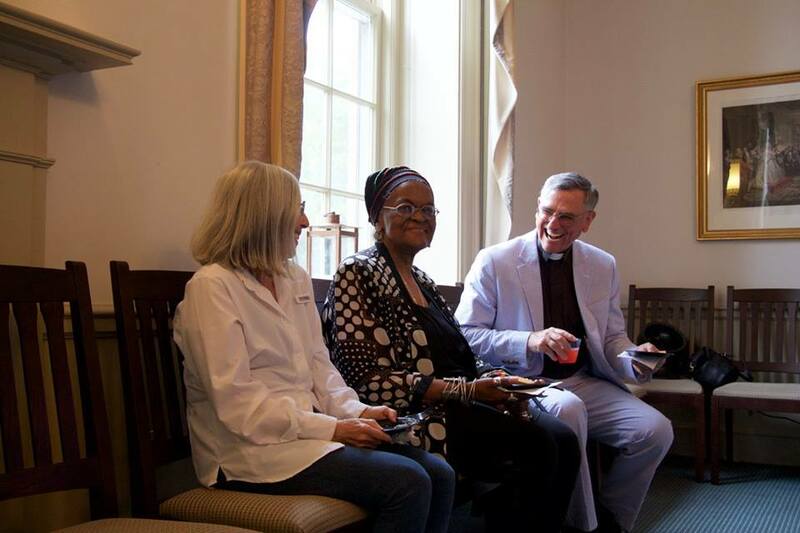 On Sunday, April 30, Coalition for Peace Action (CFPA) volunteer leaders held a table at Communiversity. At the table, volunteers conducted our penny poll. 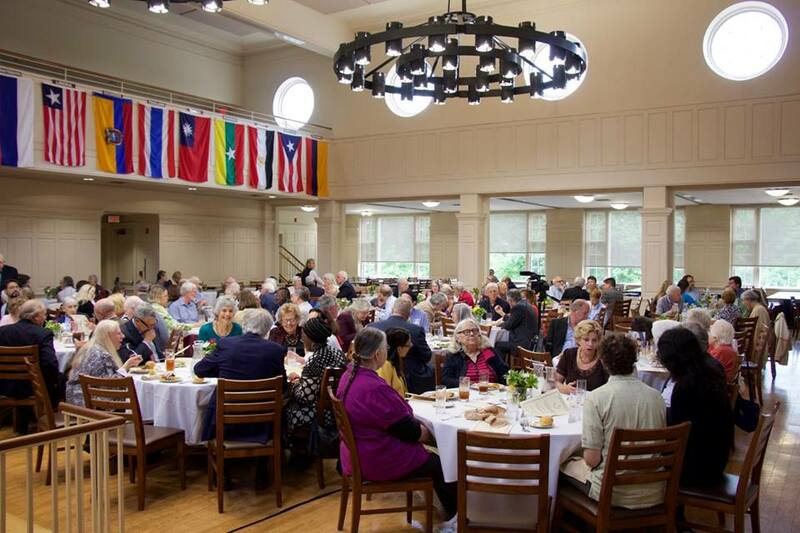 As people came to the CFPA table at Communiversity, they were invited to express their opinion on how they would like their federal tax dollars to be spent. 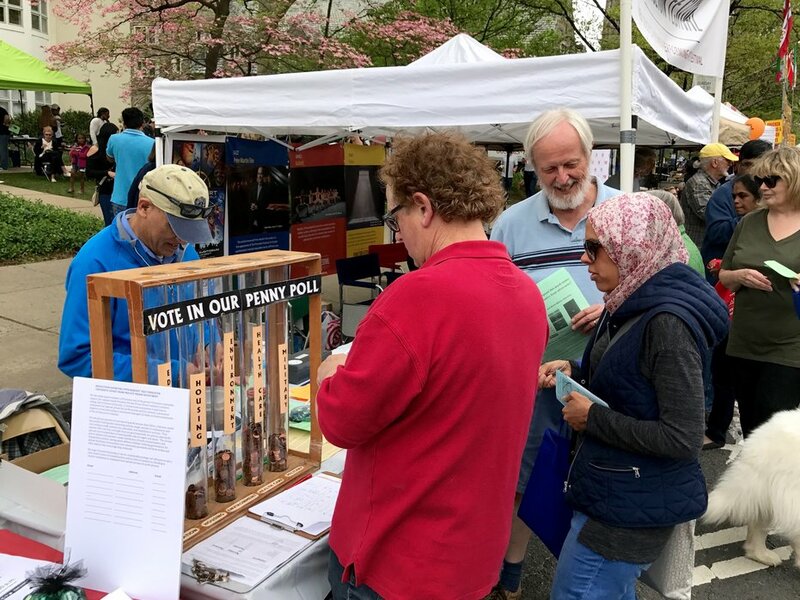 Each of the 372 participants were given ten pennies and asked to distribute them between five tubes representing categories of federal spending: education, environment, health care, housing, and military. The results are below. Participants were then handed a fact sheet showing that 54% of the “Discretionary Budget” for FY2016 was for military spending. Discretionary spending is what Congress can allocate for what it chooses each year, as distinct from entitlements. Discretionary Budget Funding for Education was just 6%, Health Care 5%; Environment 4%, and Housing 6%.